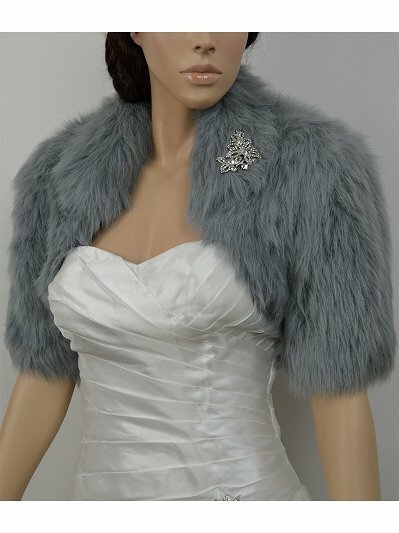 This is a beautiful soft and high quality faux fur elbow length sleeve bolero jacket. The fur is very soft and long. Available in ivory, white and black. We have Small, Medium, Large and x-large size that you can choose from. It's nicely finished on both sides, with high quality satin lining. Please note the rhinestone brooch in the pictures is not included. Absolutley beautiful! It fit great,looked rich and the broach made it look perfect with the dress. Don''t pass this up, we looked everywhere and nothing compared to the quality of this. The pictures with this shrug on are amazing! 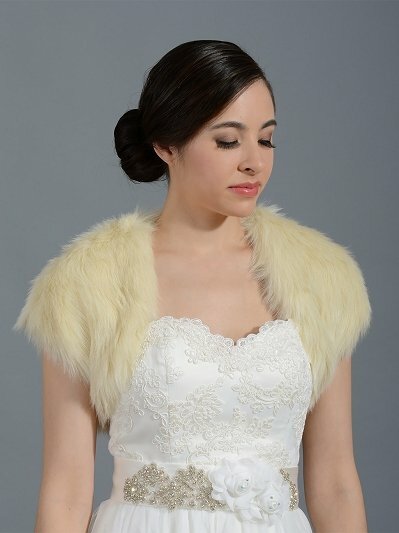 Awesome fur for a wedding! My daughter is having a winter wedding and her dress has beautiful crystals covering the bodice. However, in Colorado it will be chilly and she needed something to keep warm but something that would not cover up the crystals on her dress. 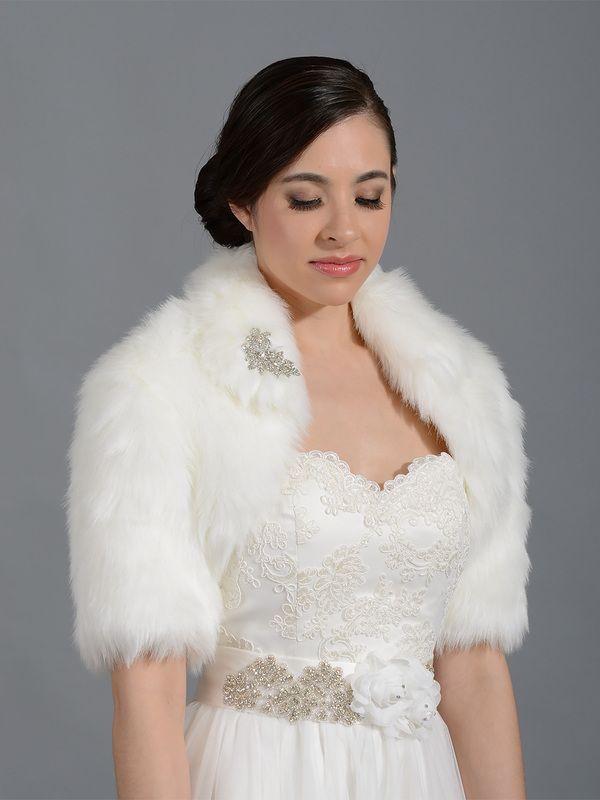 This fur bolero has been the perfect choice. It looks and fits fabulous without taking anything away from the dress. Great fit and true to size. Lovely fur material. Perfect for an evening formal wedding and just enough to keep you warm if choosing to take photos outside in the winter air. 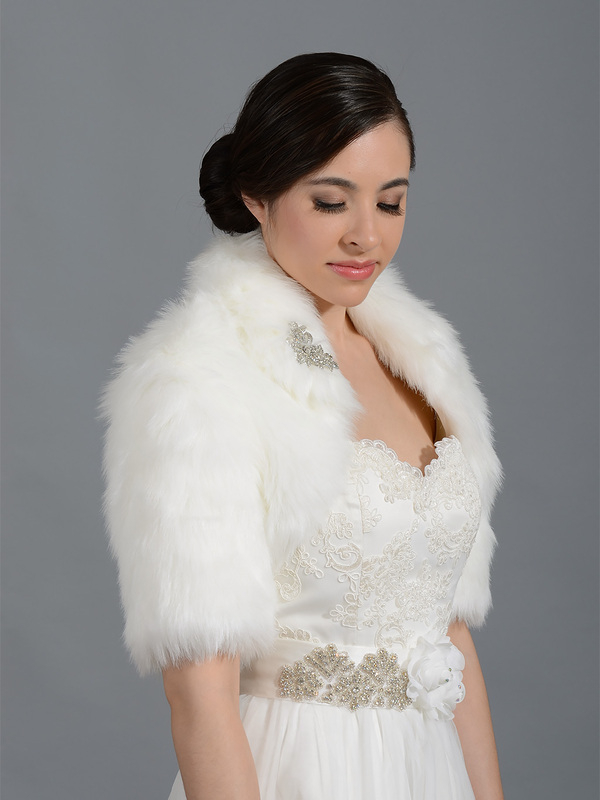 I LOVED the fur stole and received so many compliments. It was perfect and was an amazing value. n nThank you so much!